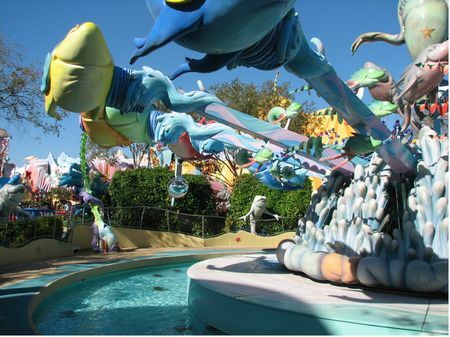 One Fish, Two Fish, Red Fish, Blue Fish is a carnival spinner in Seuss Landing at Universal's Islands of Adventure. It's worth seeing on a time-permitting basis. A "Dumbo"-type ride, with the additional challenge of dodging water streams aimed right at your bobbing fish-mobiles.